I am often late and in a rush. Terrible habit! I know! So I am always looking for quick and healthy breakfasts to get me on my way. I am one of those people who cannot function or leave the house in the morning if I don’t eat something. So, I thought I would share a 5 minute, super easy and super healthy breakfast recipe. Combine Quinoa flakes and almond milk in a small saucepan. Cook for 3 minutes on the stove on a medium heat until the porridge starts to thicken. Meanwhile, defrost frozen berries. I usually just put them in a ramekin and in the microwave for about 1 minute. Once the frozen berries have defrosted they become moist and release a lot of juice, which becomes your berry coulis. Once the porridge is cooked, spoon it into a bowl. 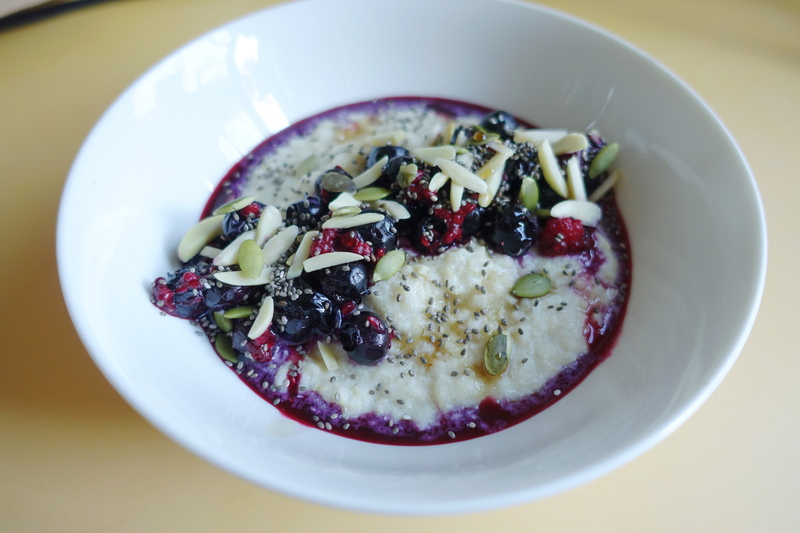 Dress the porridge by spooning the berry coulis over the top. Sprinkle the almonds, pepitas and chia seeds. Finish with a light drizzle of maple syrup or honey. Voila, ready to serve and eat! * You can use regular Quinoa for this recipe too, but I prefer Quinoa Flakes as it has a very smooth porridge-like consistency and it cooks up really quickly if you are time-poor . * Switch up the variety of nuts & fruit to create different and new flavour combinations. I also like to use pistachios, flakes almonds and poached pears. * To make this recipe even lighter, you could cook the Quinoa on just water or use a 50/50 combination of almond milk and water. 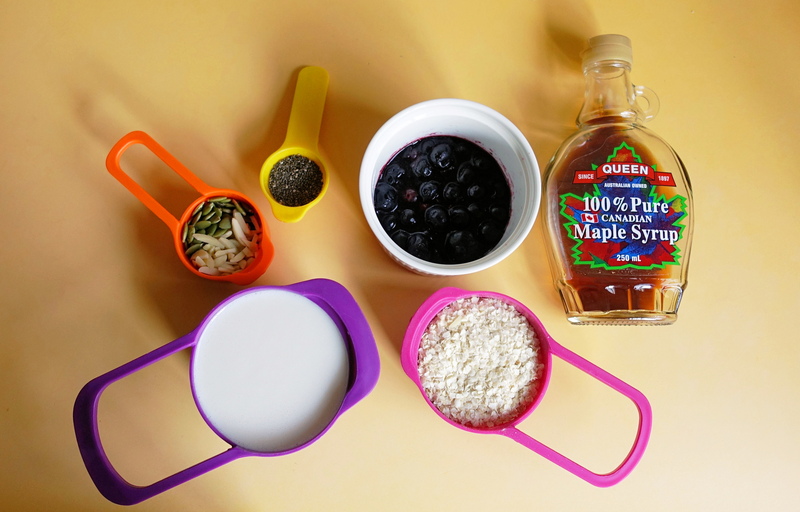 For Quinoa flakes, use 1 part Quinoa flakes for 2 parts liquid. Next > Rushed? Here’s a 5 minute Fresh & Natural Spring Look That’ll Get You Cleaned Up Quick!